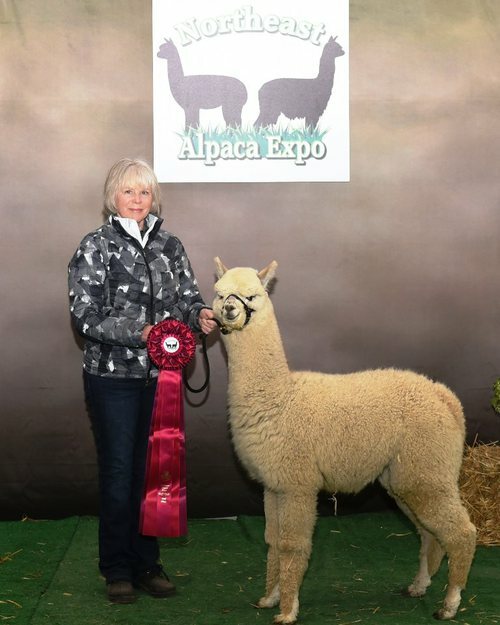 ANGELINA is a beautiful Show Proven Girl with CHAMPIONSHIP bloodlines on top and bottom. 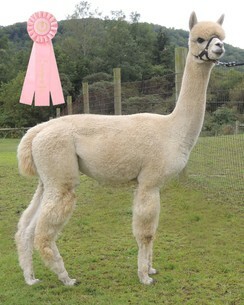 Her Dam Delicate lace is a show winning, Champion producing female - who also produced 9X CC Sassafras. 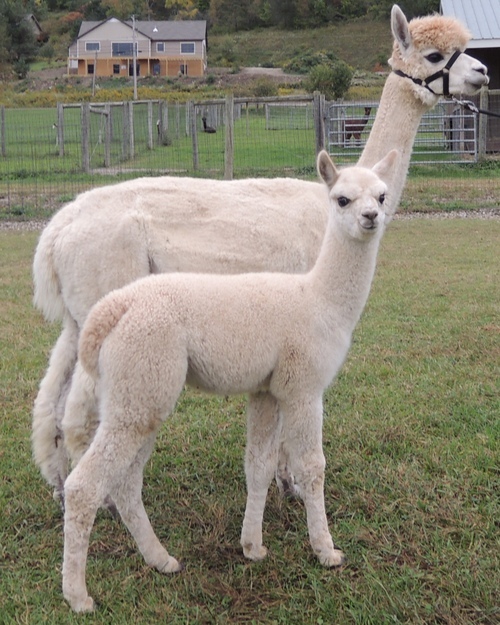 9X CC Sassafras is Angelina's Maternal Sister. Angelina's Sire is STF JETSON, our signature True Black Herdsire and Sire of Many CHAMPIONS. 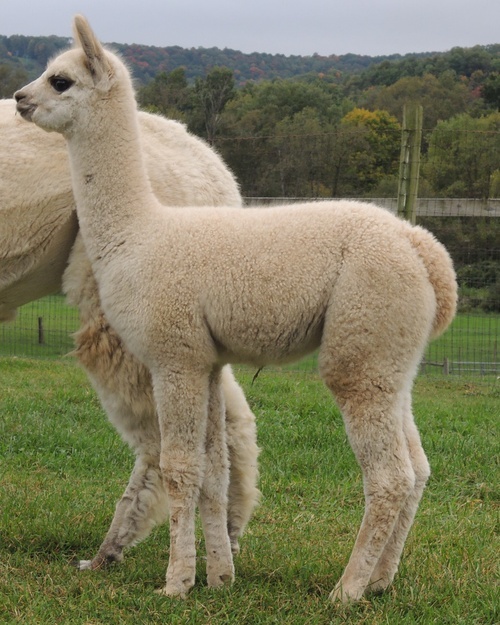 Her first Cria is at Side - Symphonic Adagio - a FABULOUS LF Male sired by NM Beethoven! Beethoven's Encore is a perfectly conformed Male. 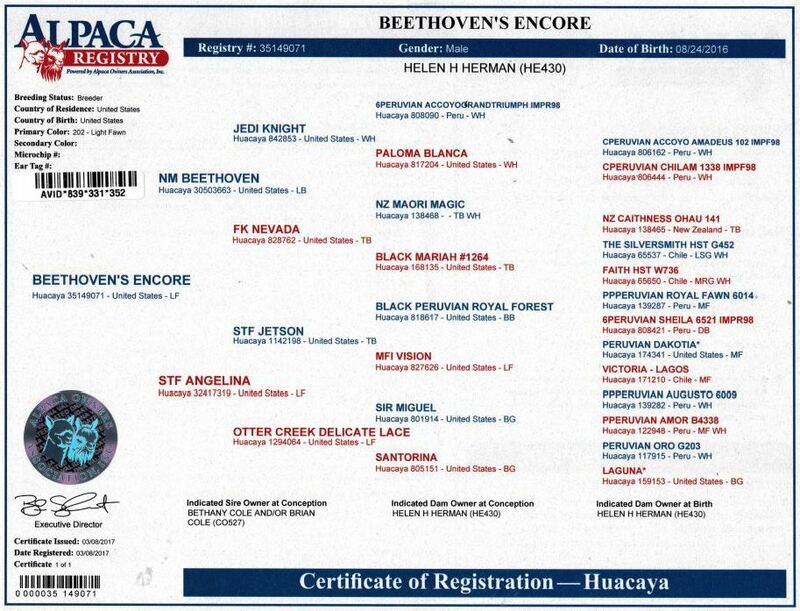 His Sire is Beethoven Who needs no introduction to those in the business. His Dam is STF Angelina, a Jetson Daughter. 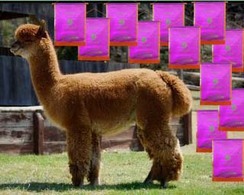 Encore's fleece is well organized, bright, dense, and no guard hair through out the blanket. He has a great temperament and very easy to handle.